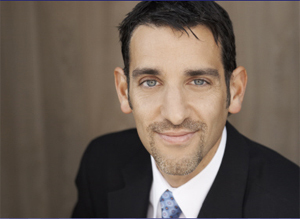 Founder of The April Center for Anxiety Attack Management - a well-known anxiety treatment center in Los Angeles - Dr. Craig April has become one of the most active and popular anxiety doctors in the country. He has been treating anxiety for 15 years and is an expert in cognitive-behavioral techniques focused on anxiety relief. Dr. April is a professional member of The Anxiety Disorders Association of America and The Obsessive Compulsive Foundation, has been quoted nationally in magazines and newspapers, has been an international radio guest, served on filmed panels and speaks regularly in the community. He is a featured psychologist on the A&E Television show OBSESSED. Obsessed is a documentary series, much like Intervention in style, that documents the struggles of those with anxiety disorders, such as Obsessive-Compulsive Disorder, Panic Attacks, Social Anxiety and Phobias, as they undergo Cognitive Behavioral Therapy (CBT). Dr. April treats the show's participants with CBT and, more specifically, applies the most scientifically proven anxiety treatment technique of Exposure and Response Prevention. “I am committed to helping people break free from anxiety symptoms so that they may live the life they are meant to live – one filled with calm, confidence, and freedom,” says Dr. April. Fascinated by the nature of his own fears and realization that we grow by strategically facing discomfort, Dr. April nurtured this interest as he entered graduate school in 1991. By the time he obtained his Masters in 1994, his Ph.D. in 1996, followed by his licensure as a psychologist in 1998, Dr. April had extensively treated anxiety disorders in clinic, hospital, and university settings. Based on his continued focus in private practice working with those struggling with OCD (Obsessive Compulsive Disorder), Panic Disorder, Phobias, Social Anxiety and Generalized Anxiety, Dr. April established The April Center for Anxiety Attack Management - Los Angeles to provide specialized and proven anxiety treatment. The April Center for Anxiety Attack Management - Los Angeles offers individual, group and family therapy with anxiety treatment plans uniquely designed to make progress as quickly as possible. Dr. April helps anxiety sufferers daily and says, “It’s incredibly inspiring. Everyone can learn how to face what scares them”.